Reporter: You could live anywhere in the world you want. And you've been all over the world. Can you imagine not living in Ireland? Enya: No, I can't. I can't, because much as I love other cities and other parts of the world, I feel very, very connected with Ireland. You know that's to do with my Irish roots, my family, you know. I just feel that, you know, I love traveling, I have to say. but I feel that there's a certain stage that I've got to get back. 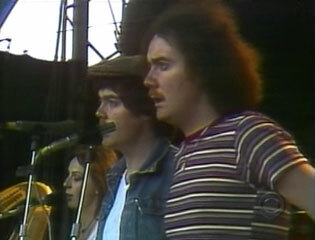 Charles Osgood: ...young Irish woman on a remarkable journey. Reporter: Enya has reached a unique spot at the pinnacle of her profession. Like Cher and Madonna, an artist who doesn't need a last name. She's sold more than 50 million albums around the world. But she's almost never seen by her fans. 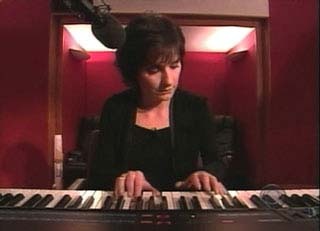 Enya has never staged a concert tour and rarely performs live. A pop icon, now 40 years old, passionate about her privacy. Enya: There are certain people who are very comfortable with being photographed every day and there are certain people who need it as well, you know. And it's just that to me, um, I never felt the need for it. Reporter: It's very hard, isn't it, to be private in the 21st century? 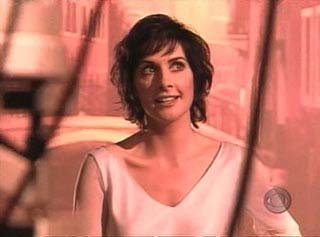 Enya: Well, so far, I mean, I haven't really done anything sort of outrageous, you know. I think like to begin with, when you step out of the limelight, there is no kind of sensationalist stories that revolve you, then they kind of tend to leave you be. 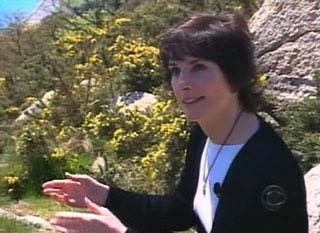 Reporter: With people reassessing their values in these uncertain times, perhaps it's the old-fashioned qualities of gentleness and simplicity along with a soft focus image that have made Enya more popular than ever. 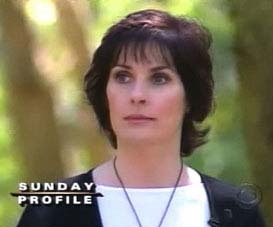 What's the image you think that people associate with Enya? 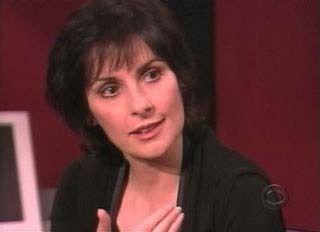 Enya: I think hopefully what the image is again, someone who really focuses, you know, on music. 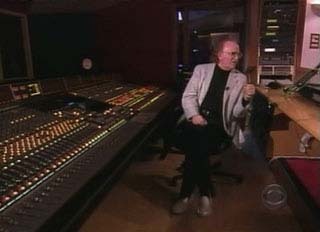 When I work on music, I forget the success. I forget about the fans, the listeners. I forget about, you know, the record company, everything. I just focus on, I'm working on this and I want to be 100% happy with the end result. 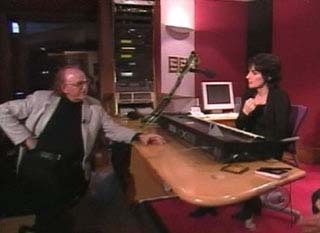 Reporter: Melody made rich by the meticulous layering of sound. A soaring chorus assembled on the electronic console of producer and arranger Nicky Ryan. But a chorus composed of just one voice. Reporter: It's you singing the same thing 20 times over. For each harmony you're your own chorus. Enya: Absolutely, yes. But you must remember it's different each time. When I go in there and I hear the melody, I think what is going to suit this. I start to sing the first part. Then when Nicky says go for the second part of the harmony, it's always different. Reporter: Different than it would be if it were 50 people than just one. You're only human after all. 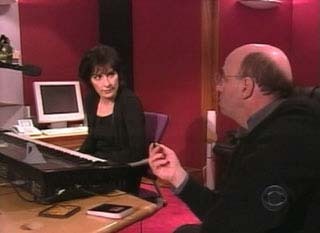 Enya: But if you sing it to two vocals, to three vocals, to four vocals, it sounds different so it is a wonderful buildup of vocals so each time you're singing you're building up. Nicky Ryan: We avoid the textural problem of using the same microphone. We use different microphones for different texture. Reporter: And avoid the problems of having to pay other singers. Nicky Ryan: That's a lot of time, a lot of extra time. Reporter: It's a process that's deeply solitary, no collaborators beyond her producer and her lyricist. What you hear is all Enya. So is almost all of what you see. And for someone whose music has been compared to the sound of wind chimes with words, there's nothing ethereal about the way she works. Enya: It is just so time consuming. But I'm happy with the story board, happy with costumes and the people that are surrounding me that I know, then basically I sit back and let the director worry and enjoy it. Reporter: Making videos is one of her few concessions to marketing records. 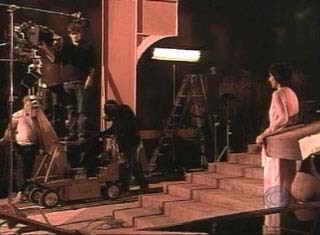 Tough minded isn't how it looks when it's done, but this is how Enya wants us to see her, a solitary artist for whom privacy has been something of a personal achievement..
Graham Fink: All right, cut. 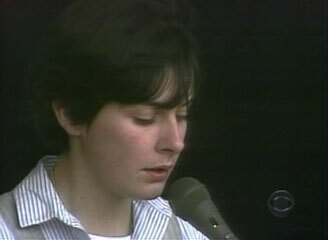 Reporter: Growing up in a family of musicians, it seemed natural for Enya to begin performing in the family group. it may have seemed natural, but it didn't feel right. And Enya didn't stay long. Now she thinks going solo is what she wanted to do all her life, a lesson from childhood when she left seven brothers and sisters behind for boarding school. Enya: When I went to boarding school, that was the first thing that I really enjoyed was the independence. Enya Absolutely. you know you don't let go of it readily. You really do hold on to it. 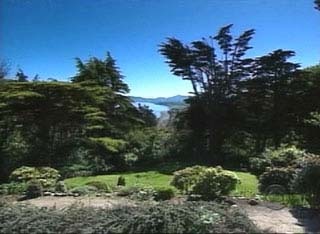 Enya ...countryside and it's always been important to me that the feeling of space, you know, because that's where I know as home. So this, to me, I suppose brings me back to, you know, a lot of memories, childhood memories. You know, I think that's very important to me within my work. 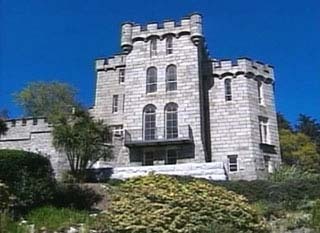 Reporter: Now this unusual artist has a place to indulge her privacy and perfectionism, a 19th century castle she has renovated. 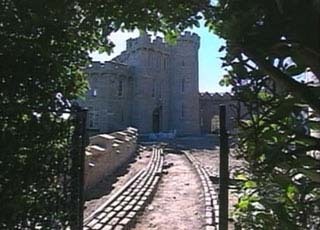 A small one, she says, has Irish castles go. For a first time home buyer, it's a pretty big purchase, isn't it? How many rooms? 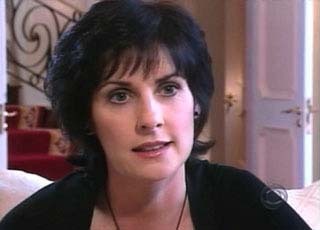 Enya: Originally there was ten bedrooms in it, but we're talking about very small bedrooms, you know, and I've kind of allocated some of the rooms, you know, like I've taken one floor for myself and I have an atrium, a library, a music room. Reporter: You're not going to be rattling around in there? 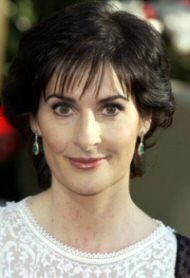 Enya: I'll be rattling around with family and friends, you know. I mean it's going to be very much, I think once I move this there, it's going to be endless parties for a while because there are so many people who want to see. 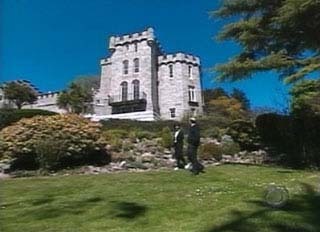 Reporter: We don't have to worry about Enya being lonely in her castle overlooking the sea? Enya: No, no. I'm never lonely. Reporter: Privacy has meant freedom, she says. People know the music, not the musician. But now she's considering a TV special and perhaps a concert tour. Happy with success, Enya is wondering how she would handle fame. Note: Originally transcribed by Harry Sarkas. 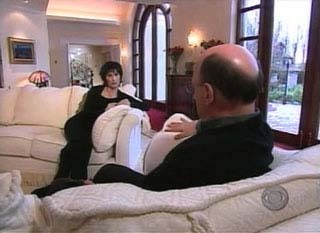 It's rumored that those sections of the interview of Enya and CBS reporter Richard Roth in sitting room were filmed at the Ryan's home.